Practo Technologies Pvt Ltd, a web-based clinic management software developer, has acquired product outsourcing firm Genii Technologies Pvt Ltd for its capabilities in building bespoke e-commerce portals and Software-as-a-Service platforms. Genii provides mobile application development, technology consulting, web application development and agile product development services. The company was founded in 2011 and is based in Mumbai. 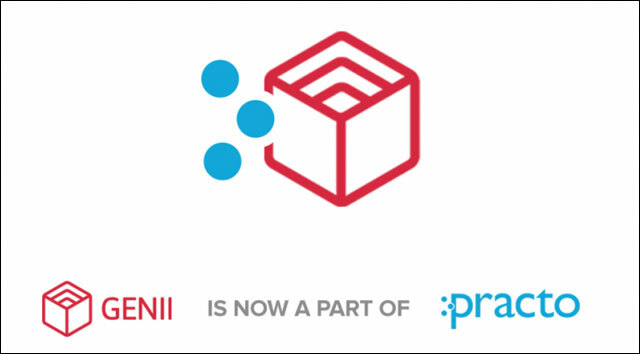 Genii founders Varun Vohra and Aditya Anand and other members of the company's 11-member team will join Practo in Bangalore, as per a press statement. “This is the second of several acquisitions we are exploring. It is the next step in our mission to make Practo your health app. We believe acquisitions are a fantastic way to add world class like-minded talent to our team. It gives us a fast way to scale and the ability to further accelerate our roadmap," Shashank ND, founder and CEO of Practo said. Founded in 2008 by two graduates from National Institute of Technology Surathkal – Shashank and Abhinav Lal, Practo was part of The Morpheus accelerator and had received a seed funding from Sequoia in 2011. Practo raised around $4.6 million from Sequoia Capital in Series A round of funding three years back. Most recently, it raised $30 million (Rs 187 crore) from Sequoia and Matrix Partners. In April this year, Practo acquired NCR-based FithoWellness, a web and app-based fitness management platform for an undisclosed amount. Practo offers services like helping patients find relevant doctors online, compare them and schedule appointments. It also sells PractoRay under software-as-a-service (SaaS) model for primary clinics, which enables doctors to schedule, manage patient records, billing etc. Practo already lists over 8,000 hospitals on its platform and will expand this to over 20,000 by end of this year. Recently, it launched a new feature that allows users to find diagnostic labs in their vicinity. It competes with the likes of Lybrate, HelpingDoc, Praxify, AllizHealth and others.